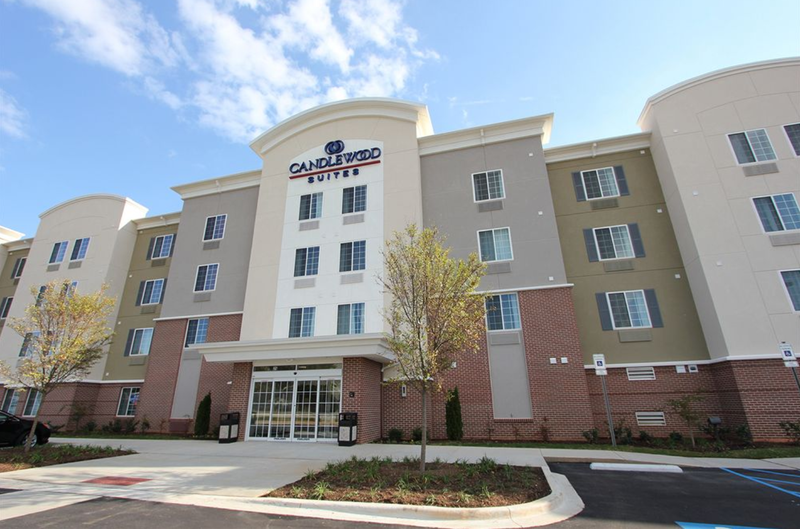 Western North Carolina continues to attract travelers from all parts of the world. Eager tourists have made Western North Carolina (WNC) one of the most visited and most loved places to visit simply because of the beautiful scenery, moderate climate with four distinct seasons, and the hospitality. This area also consistently receives accolades for being a haven with a thriving community for creative artists, for having a tall listing of restaurants with delectable menus for well traveled foodies, and for becoming a favorite destination to experience the best craft beers in the US. The owners of Mountain Lodge and Conference Center strategically had that in mind when they started construction for this hotel in September of 2007. They opened for business in July of 2008. 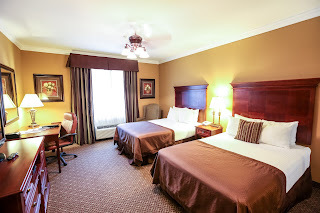 This local, independently owned hotel was custom designed and built by the owners to meet the desires and requests of guests that stayed at one of their earlier established sister properties, Mountain Inn and Suites. 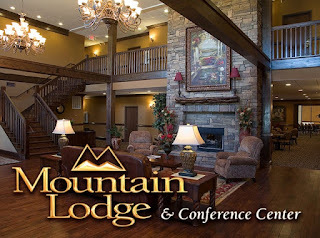 Mountain Lodge and Conference Center is located in Hendersonville, NC and close to everything tourists love about WNC. 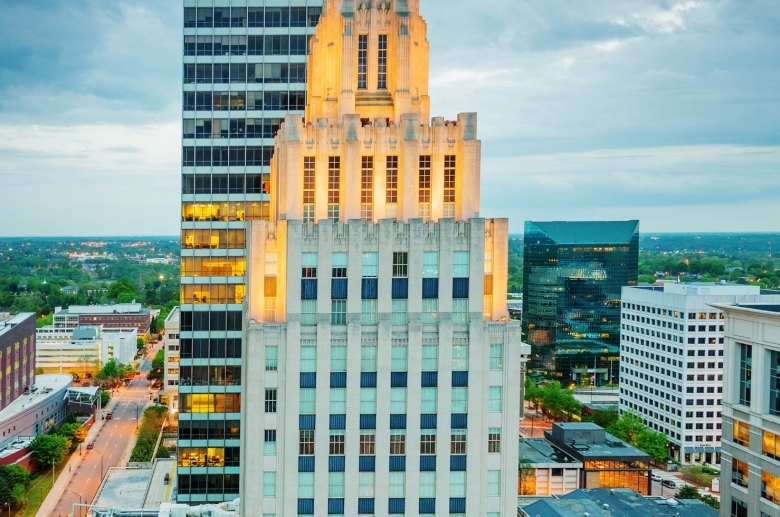 Although a comfortable thirty minute drive separates them from the always popular downtown Asheville, NC, they are actually perfectly situated so you can enjoy several nearby cities with numerous choices of things to do. 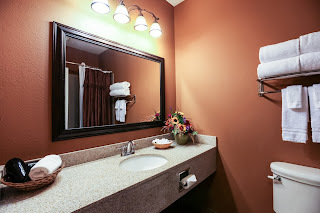 You will find the all-suite rooms at Mountain Lodge to be well-maintained and neatly decorated with a hint of cosmopolitan living, yet cozy enough to still feel like an organic mountain experience. 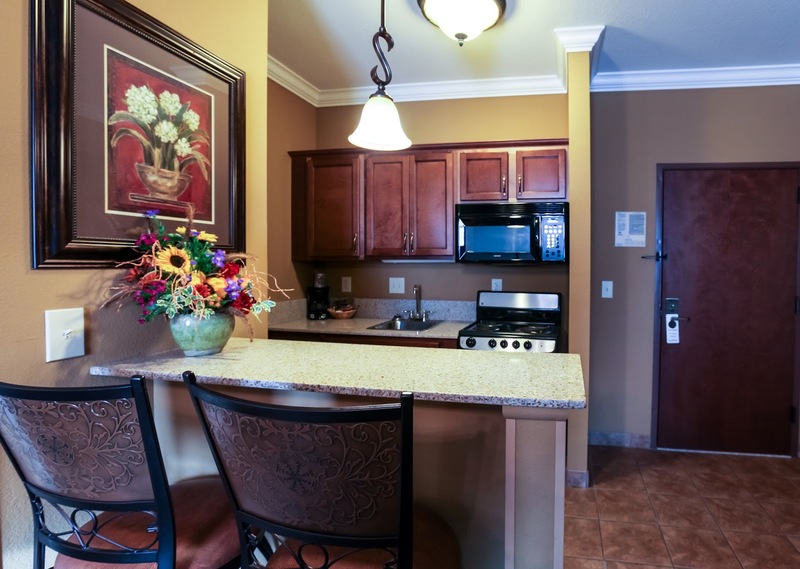 Each room includes spacious living areas, sleeper sofa pull-outs, and full kitchens. Mountain Lodge also provides all the amenities of a corporate hotel. Of course, there are a few extras you will enjoy at Mountain Lodge that you probably will not get to experience elsewhere for the same price. Yes. Mountain Lodge has an indoor heated pool, but they can also boast they have a nature trail located in a private and spacious area behind their hotel. They also have a basketball area if you want to shoot a few hoops or play a pick-up game with other guests. 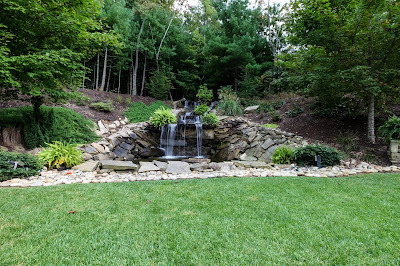 One of the best secret aspects and strongest selling points for this hotel property is the large waterfall located behind their lodge, complete with a large open grassy area. This is a perfect backdrop for special events, which might explain why Mountain Lodge is becoming known as a place for destination weddings. 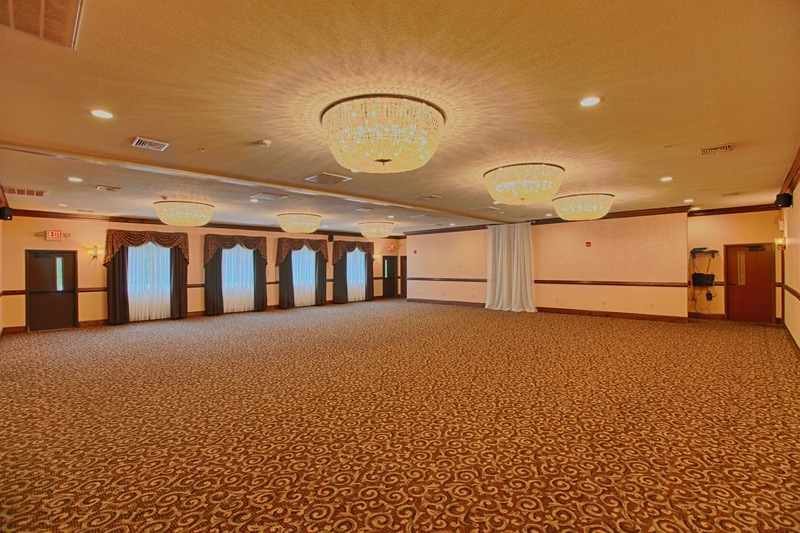 Their meeting and event area is pretty spectacular as well. 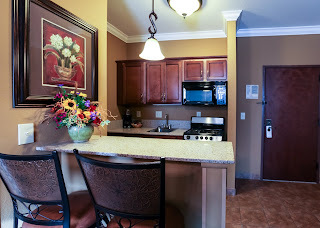 You will definitely come away with an amazing experience here without breaking your budget. The owners of Mountain Lodge and Conference Center are involved in community events and local charities, including being host to the upcoming Barq in the Parq event. This charitable event was established in 2014 by local radio station, WTZQ. Even though last year marked its debut, the event raised $1000 within a few hours to benefit three charities (Blue Ridge Humane Society, Brother Wolf Animal Rescue, and Charlie's Angels Animal Rescue). The event was so popular that it has become an annual event. 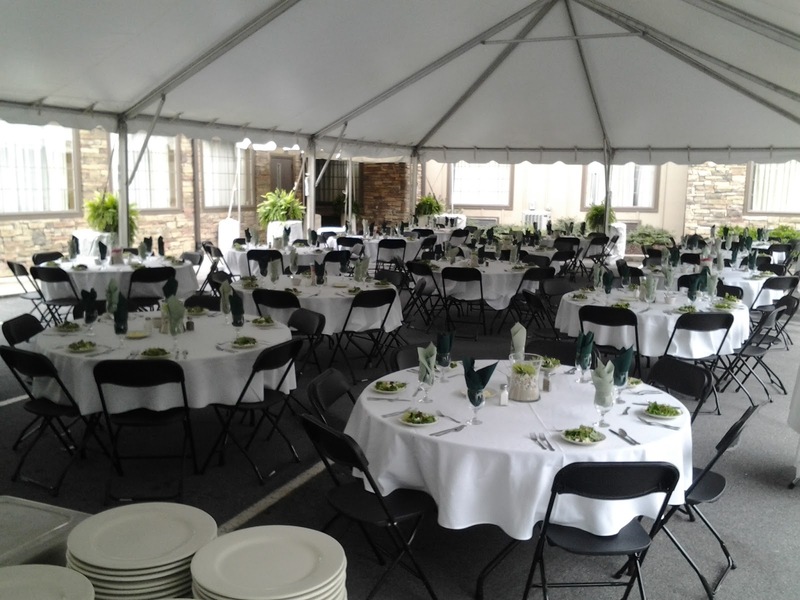 The large lawn behind Mountain Lodge is a perfect location for such an outdoor event. Even though Mountain Lodge is a local, independently owned hotel, they are highly recommended via reviews from previous guests. 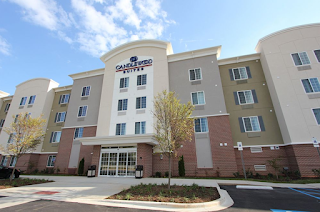 In fact, they have higher scores than some of the more well-known hotel brands in the WNC area. We decided to take a closer look at this hotel, get to know the owners, and feature them in the first issue of Secrets of a Thriving Hotel. We sat down with Scott Mutchmore, who is the operating partner for the Lodge, and Mary Bell, who is their Director of Sales and Marketing. We shared a conversation about our industry and the success of Mountain Lodge and Conference Center. Scott has nearly 30 years of experience in the hospitality industry. In fact, it is the only profession he has ever known, and his passion shines brightly. His first 15 years were involved in the full service segment where he gathered experience from major hotel brands. According to Scott, the early years of his career allowed him to lay the foundation of standards and expectations from the big boys, to then help create their own brand, concept, vision, and mission at Mountain Lodge. 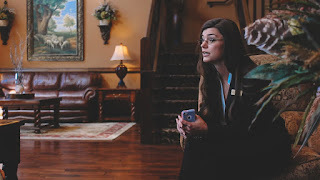 Mary also enjoys her job at the hotel. Her previous experience as a professional wedding/event planner is a huge plus for group sales. Mary is passionate about helping group directors create custom packages with memorable details that will fit their budget. STH (Secrets of a Thriving Hotel): What motivates you as a hotel owner to have a successful hotel? never got that chance so I kind of have a sort of coach mentality here at the hotel. I coach the team to victory and make sure the employees are happy. J. W. Marriott, 60 years ago said that if you take care of employees, they will take care of the guests. That just helps the top from the bottom up. It's that simple. Leadership is leading by example. That's my goal. We are fortunate in our 7 year history that our 19 full and part-time employees collectively make a total of 70 years of experience working together. With that being said, 70 years together under one little roof, (64 room all suite hotel) can create some dynamic and wonderful things. Another key is to also have virtually zero turnovers in the last 7 years. 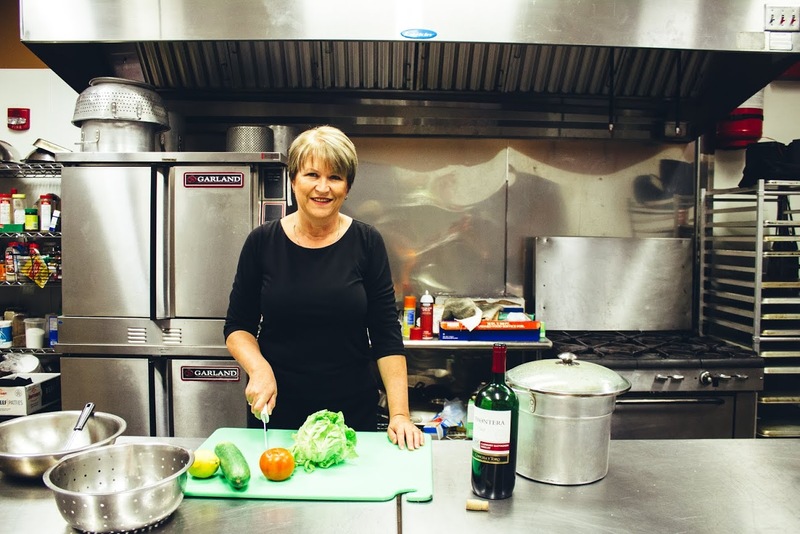 Executive Chef for Mountain Lodge and Conference Center, Antoinette Binedell moved from South Africa to Western North Carolina for the same reasons many tourists love this beautiful area: a mild climate, four distinct seasons, and extremely friendly people. She fits right in while serving her delectable dishes with warm hospitality. STH: How important have guest reviews been for your hotel? Scott M: It has been huge. Reviews, unfortunately in today's age can make you or break you. Out of the 200+ reviews we have on TripAdvisor – 95 % of those are very, very positive. There's a few that were just not happy for a few things that were out of our control, but yes, Internet reviews are critical. Any on-line social media, on-line publication, website or tool is key to today's success in the hotel industry, including moving forward for everyone. STH: Who checks the reviews that you have on various sites and responds to them? Scott M: It is a collective team effort. Mary Bell, our director of sales and marketing, who does a phenomenal job has done a great job of making sure we are visible with our Internet optimizations. She has done a great job spear heading that. Her and I as a team, her more so than me, monitor the reviews and feedback so we can react accordingly, fix and improve what we need to. Scott M: It's an every day thing. We utilize our third shift. For a lot of hotels, third shift is kind of a sleep shift. Out of the 8 hour shifts our third shift employees work a good solid 7, and part of that is checking social sites because they have the time without a lot of interruptions. Our third shift is very knowledgeable of the Internet. They even have notes for me sometimes when I arrive in the morning. STH: This is a local, independently owned hotel, correct? Scott M: Thank you. Yes! We are very proud of that! I am very blessed to have two other business partners, who between them have 126 years here in Henderson County. So their combined 126 years and my 14 makes 140 years here in Henderson County. That is homegrown! STH: What are some benefits to being independently owned? spent on our employees and guests is an equation for success, which is nice. 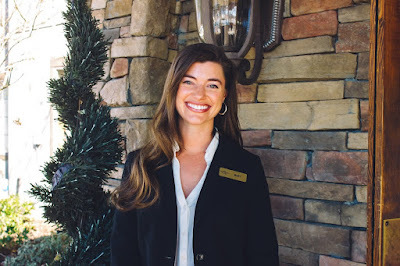 Front desk associates, Bonnie and Sophia recommend these local restaurants when you visit Hendersonville, NC: Mezzaluna, Never Blue, Square Root, and Champa. STH: What can you tell us about your competitors? 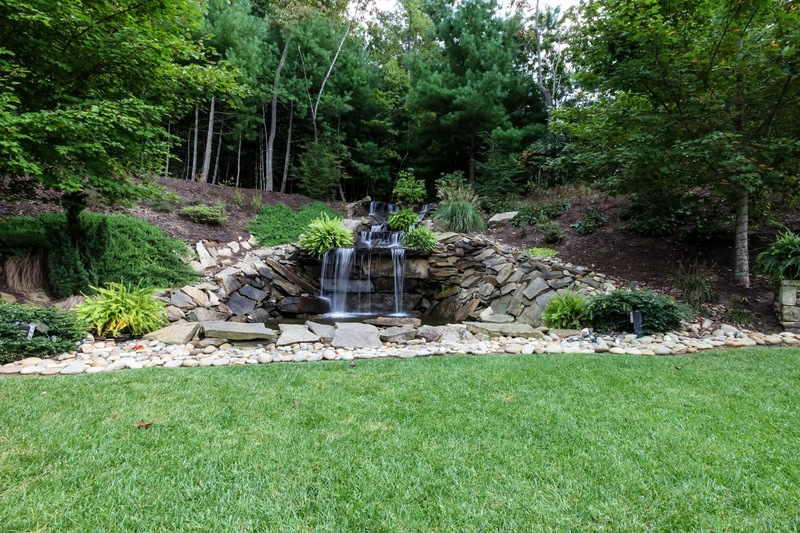 Mary B (Mary Bell): I think Henderson county and the entire area of Western North Carolina is filled with some amazing properties. These are service driven, educated, and well experienced people. They do a phenomenal job. I don't really look at other businesses as competitors. I consider them partners,and I love to be able to share properties with clients that we may not be a good fit for or perhaps we are overbooked. I know they would do a great job for them as well. We welcome that kind of shared relationship with every one in this area. We have a fine reputation, and we have a wonderful relationship with the other properties. I think that is fundamental and I would like to continue it. Scott M: The only thing I would add to Mary's thoughts is that you really do need to know your competitors better than they know themselves. If you can do that, then you are ahead of the game, even while still being partners. 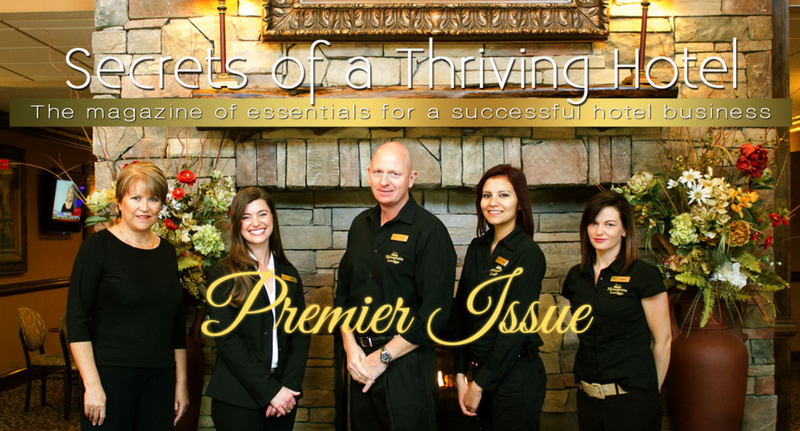 STH: What would you say is the top three fundamental essentials for a successful hotel? Scott M: Obviously, it is the people making the business. You have to hire right, train right, and lead by example. Those are the three keys. You can have a great product, an average product, or a below average product, but the people can make all three of those levels better, great, or even greater by just the people themselves. People buy from people. STH: Why is it important to strive for repeat business as a hotel? Scott M: Well, as we know, for any industry, repeat business, whether it is retail, a McDonald's, a department store, or even a drive through car wash – repeat customers can then be walking billboards. If we sell 18,000 rooms a year and 90,000 of those are repeat, I sure hope those repeats, for sure, are going to tell 10 people, which may tell 10 more people. And then the 9,000 new ones – I sure hope they return and tell people. So really, word of mouth is key, especially when you are independent and you don't have a lot of marketing / advertising dollars set aside for media outlets. STH: What promotional efforts have you found that work best for your hotel and location given that you are independently operated? STH: What characteristics do you look for when hiring employees? experience they have. I hire a lot of people that a lot of people wouldn't for various reasons that employers go by. As we like to be different in providing woos and magical experiences, we also like to then hire people who are on the cutting edge of being a superstar but have never been given a chance. So really for us, it's firm handshake, a warm smile, the commitment to really want to succeed as a person and as an employee. All we ever want in life is just a little attention, guidance, and consistent leadership. That's all we really want. We also, all of us in this world, want to be part of a family. So if we can provide the guidance, the leadership, the warmth and the family environment, and these people will be receptive to that, those are your better long-term, low turn over type employees. STH: Does your hotel engage in on-going training for your employees? 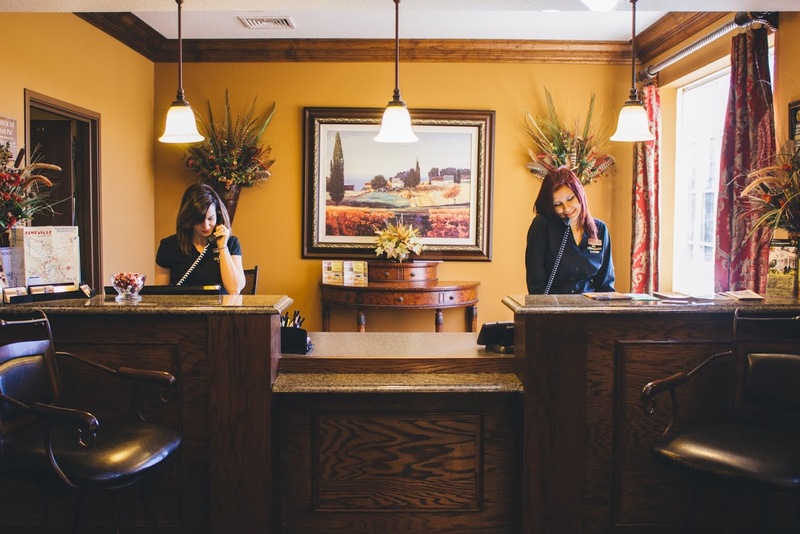 Scott M: With a low turn-over, it keeps training costs down, and also keeps the common vision and mission to exceed our guests expectations at every turn, every stay, every day. We stay in-house with all of our training and lead by example. spending. Have either of you noticed an increase in prospective groups, individual sales or overall revenue for your hotel? Scott M: Yes. The recession of 2008 – everybody saw a huge dip in demand, in occupancy and average rates. 2011 had a little bit of a turn. 2012 turned more for the better. 2013 and 2014 we saw the area being able to drive the rate more, as well as occupancy being driven as well. So there is positive, favorable trends being predicted for 2015 and 2016. Mary B: Absolutely. I speak often with repeat customers who were unable to come back for financial reasons with their groups in the last 7 years, but came back last year or want to come back this year. As far as weddings, people are going to get married whether they are rich or poor, so those numbers have not changed -but what people are budgeting for weddings has changed quite a bit. Same with special events. People are budgeting higher so we are able to give a greater wow factor for those type of clients who are budgeting more, which is nice. 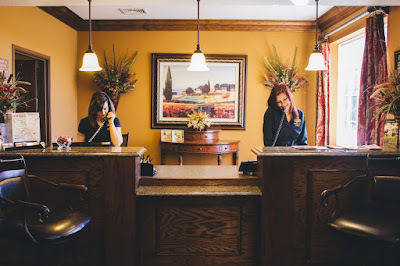 Of course, being a private lodge, we have tons of flexibility, and I myself work hard every day to custom build packages and affordable rates, that include whatever that particular client's budget and needs are. Everything is done per the client's request. Mary Bell, Director of Sales & Marketing offers these tips for a successful event at Mountain Lodge and Conference Center: "Having an idea of your preferred date, guest count, dining style preference, and a few other basic concepts will prove very helpful in preparing a quote. It is also very helpful to know your preferred budget for your event - even if it's only a ballpark guess! This way we can work our magic and find ways to give you absolutely everything you want - at a price you are 150% comfortable with." 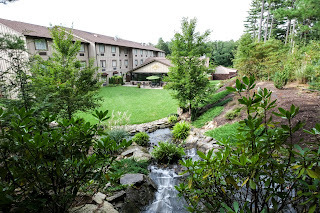 STH: In closing, what sets Mountain Lodge and Conference Center apart from all other hotels in Hendersonville, NC and the Western North Carolina region? Scott M: It's the people. Clear as can be. It's all out the people and the staff who genuinely and sincerely care about our guests - and that is why the guests keep coming back. People buy from people.